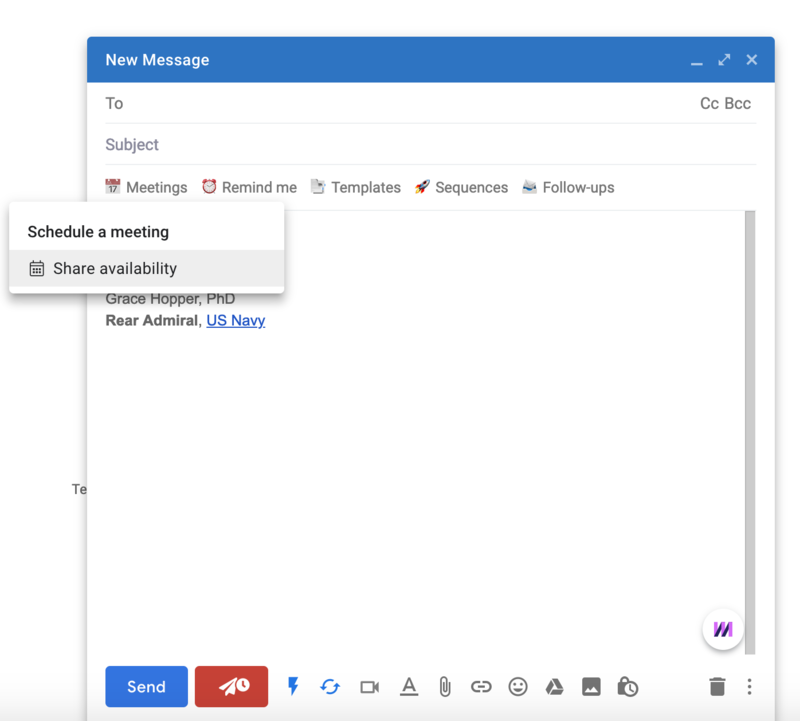 `The Share Availability enhancement makes it effortless for your recipients to confirm meetings with you — directly within their email. You can also use the slash command: type /cal to launch the share availability calendar. Next, fill out the event details (title, location, description, and time zone). Mixmax remembers common locations and meeting titles via autocomplete. 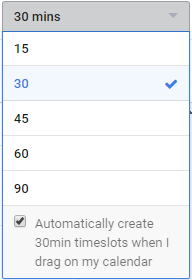 You can also select them from a dropdown by clicking the arrow. For time zone, select the time zone of your recipient. You can add additional guests that will automatically be invited to the event once your recipient chooses a time. We also prevent double booking by default. You can schedule on your own calendar, or schedule on a calendar that has been shared with you. Here's how to schedule on shared calendars. Next, click a time on the calendar to choose a time when you're available. Click and drag down or across to select multiple times. 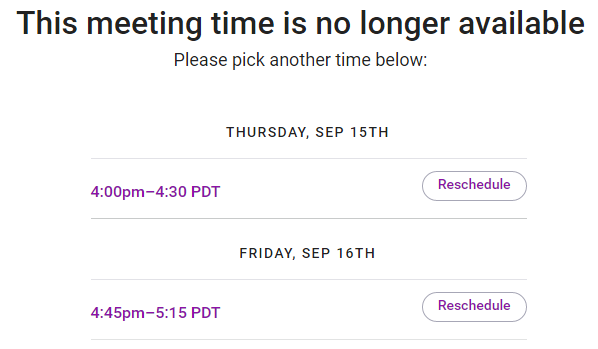 These times appear in your time zone, and will automatically convert to your recipient's time zone when you insert the invitation in your email. You can change the length of the default time slot at the top right of the calendar. You can make an individual time slot longer or shorter by clicking and dragging the bottom of the box. Once you have selected the times you want to offer your recipient, click Insert Times at the bottom left. This is how the invitation will look in the email. What you see in the compose window is exactly what your recipient will see. 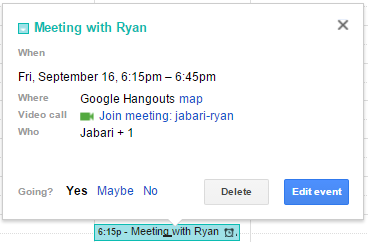 Your recipient only needs to click their preferred time to confirm the meeting. The event will automatically be added to both of your Google calendars, and both of you will receive a notification email confirming the meeting.